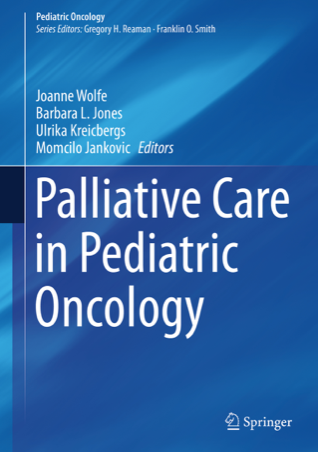 This book sets out to provide a broad review of palliative care in pediatric oncology. There are several chapters dealing with what it is, what it involves, and how it is best practiced. There are informative chapters on communication, considerations for disease-directed therapy in children with advanced cancer, and palliative care in hemopoietic stem cell transplantation. There are chapters on managing the various categories of distress — physical, psychological, existential, and social — as well as chapters on end-of-life care and bereavement. Finally, there are chapters on easing clinician distress and advancing pediatric palliative oncology through innovation. But I had trouble with the practice. The theory is that the child/family can benefit from the expertise of both the oncology and palliative care teams, working under a ‘simultaneous care model.’ It states: ‘True interdisciplinary care requires a process of team development in which the various roles are understood as different layers working together seamlessly to create a whole better than the sum of its parts.’ It sounds good, but then I wondered if they were dreaming. The text and tables refer to ‘the physician’ or ‘the doctor’ and not to a medical oncologist plus a palliative care physician. My experience in the adult wards, where I have had the privilege of seeing both sides of the divide, is that many oncologists believe palliative care is only applicable when they run out of treatment options, and they don’t want palliative care people coming in and muddying the waters, talking to their patients about things like death and dying or quality of life; there is a strong perception in the general community that ‘palliative care’ means you are going downhill or soon will be. The result is that many patients who might benefit from palliative care are not referred, and suffer more. And the palliative care doctors, in turn, accuse the oncologists of continuing to treat patients with chemotherapy when they feel they should be having palliative care. Nothing in this book tells me that the same thing does not apply in pediatric oncology, and there is no practical answer offered. So what is actually happening? It states that only 58% of Children’s Oncology Group institutions have access to a pediatric palliative care team, and in those only 56% of children with advanced cancer (and dying) were referred to specialized palliative care. It says that all pediatric oncology clinicians need to know basic or ‘primary’ palliative care, and that palliative care specialists are only needed in the care of children with more complex suffering. I remain quite unconvinced that the average primary palliative care delivered by the average pediatric oncologist would qualify as palliative care as defined by a palliative care physician. That the palliative care delivered by pediatric oncologists might be suboptimal or superficial is brushed aside as ‘oncology clinician skill gaps,’ which I did not feel was good enough. I was interested to read about Tuckman’s (1965) description of the stages in team development: Forming, Storming, Norming, and Performing. My experience of having been both a medical oncologist and a palliative care physician involved in the management of the same patient is that there is often a lot of Storming. The editors have all made significant contributions to pediatric palliative care. Joanne Wolfe (MD, MPH) is Chief of the Division of Pediatric Palliative Care in the Department of Psychosocial Oncology and Palliative Care at the Dana-Farber Cancer Institute, and Director of Palliative Care at Boston Children’s Hospital. Barbara Jones (PhD, MSW) is Professor at the University of Texas at Austin School of Social Work. Ulrika Kreicbergs (RN, PhD) is Professor of Palliative Care for Children and Youth at Ersta Sköndal Bräcke University College, which is affiliated with the Karolinska Institutet in Stockholm. 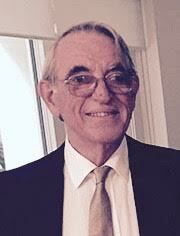 Momcilo Jankovic (MD) is Chairman of the Hemato-oncology Clinic at the San Gerardo Hospital, in Monza, Italy. The cast of contributors is international and includes individuals from Canada, Germany, Israel, Italy, Mexico, Sweden, Switzerland, the UK, and the USA. I thought this book provided a very good review of palliative care in pediatric oncology, and the problems that come with it, although I remained unconvinced that oncologists were the best people to deliver palliative care in the majority of situations; I was also unconvinced about the almost dream-like cooperation said to exist between the medical oncologist and palliative care physician when practicing ‘simultaneous care.’ This book should be required reading for anyone working or training in pediatric oncology; it will give them a basic appreciation of what real palliative care is and what benefits it can bring to the child and family. It will also be of interest to anyone who works in pediatric palliative care. 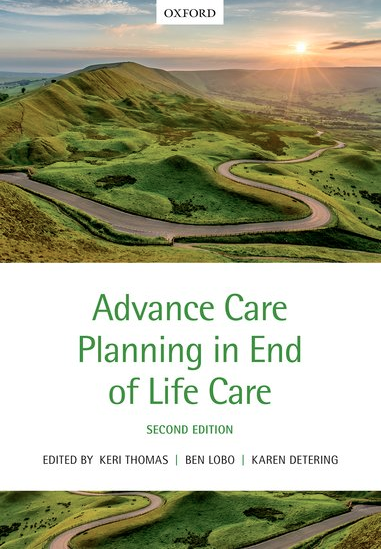 ADVANCE CARE PLANNING IN END OF LIFE CARE, 2nd ed. Advance care planning (ACP) has come a long way since the publication of the first edition of this book in 2010. Its goals may be broader, but it is better defined and there is an evidence base of its effectiveness. It seems to be an expanding ‘specialty,’ and the formation and growth of the International Society for Advance Care Planning and End of Life Care (ACPEL) is noted. The book is divided into four sections — Introduction, Context and Experience of ACP in the UK, Experience of ACP Internationally, and Practicalities and Areas of Common Ground. There is information on what ACP is and how it should be done; the goal of ACP is to help ensure that people receive medical care that is consistent with their values, goals, and preferences during serious and chronic illness. ACP is now an established cornerstone of quality care, particularly good end-of-life care. There is good evidence for its effectiveness and economic value, and it helps facilitate person-centered care. There are discussions about the benefits, challenges, and limitations of ACP, and its use in certain groups, including patients with dementia and the aging population generally. There are separate chapters on ACP in the community, in care homes, in hospices, and in hospitals. There was interesting material on the de-medicalization of ACP, with an evolution from purely the medical aspects (treatments, transactional) toward a focus including more personal aspects (personal, transformational). The material in this book is primarily about the UK, but there are chapters on the development of (and difficulties with) ACP in Australia, Canada, New Zealand, Germany, Singapore, and the USA. Some readers may remember I reviewed the book by Iowa attorney Jo Kline Cebuhar, JD, The Practical Guide to Health Care Advance Directives, which provides sound guidance in these matters for the layperson (Newsletter, September 2015). Having served as chair of Iowa’s largest hospice program, she continues the work at www.JoKline.net. I was a little concerned that the chapter on resuscitation did not give clear guidelines regarding patients who are dying of something like cancer, and both the patient and the family are aware of the situation. There is a whole chapter, written by the Past President of the Resuscitation Council (UK), providing a thorough description of how, with whom, and in what context one should discuss ‘Do not attempt cardiopulmonary resuscitation’ (DNACPR) orders. It seems to say that the clinician is not obliged to discuss treatments that would be considered inappropriate or futile (e.g., CPR), but implies (or does not specify any exceptions) that in order to have a DNACPR order, discussion with the patient or their proxy is required. So what happens when the patient who is dying of cancer is admitted? Many hospitals have a policy that CPR should be performed unless a DNACPR order is in place. I felt that forcing the patient and/or their family to talk about dying and agree to DNACPR (when CPR would obviously be futile) was absolutely inappropriate; I used to write ‘Dying DNACPR’ in the notes. I was frequently challenged and asked whether I had discussed it with the patient, and there are now some hospitals that will not accept a DNACPR order unless the right form has been signed by the patient or their proxy. Seems to me this area needs to evolve a little in the direction of common sense and respect. I was also concerned that a deliberate decision was made to exclude any discussion regarding euthanasia and physician-assisted suicide. The editors believe that ACP should be seen ‘within the broadly positive context of active supportive quality care by all providers, to enable people to live well until they die.’ But, whilst I abhor the idea of euthanasia and physician-assisted suicide, pro-euthanasia groups and the media are encouraging people to think about their ‘right’ to assisted dying, and it is being made legal around the world with sickening speed. So the warm, positive view chosen by the editors is only half the story, and ACP has to include having conversations with people who come in saying they want assisted dying. The preface contains a number of grammatical and spelling errors, including misspelling the surname of one of the editors, which is unusual for OUP. This is a very good review of ACP: what it is, how it has developed, and how it continues to evolve. Glenn has an MA in Religion and Education from Columbia University, and is a trained birth doula (a woman who gives physical and emotional support to another woman during pregnancy and birthing), teaches Kripalu yoga, and does work as a hospital chaplain. She is also founder of the Institute for the Study of Birth, Breath, and Death. Reading the Introduction was music to my ears. ‘Too often professionals supporting the bereaved deem loss as something to overcome, an illness to cure, and the sooner the better… Grief isn’t something to manage efficiently. It’s not an illness. There’s nothing pathological about mourning.’ This sounded far more rational to me than the psychiatrists who compiled the Diagnostic and Statistical Manual of Mental Disorders (DSM–5), who believe that vast numbers of people with normal grief should be classified as psychiatrically ill. And I think this is important. I do not know the ins and outs of what happens in the USA, but application of the DMS-5 criteria in Australia would seriously disadvantage large numbers of people experiencing normal grieving, who would subsequently be unable to get or afford life insurance because they would be labelled as having had previous psychiatric disease. In tracing the development of her ideas about life and death and how we might better deal with the associated issues and emotions (particularly fear), she reflects on important episodes in her own life as well as clinical anecdotes about being with the dying and the bereaved. She describes her early childhood in Utah, where she was raised according to strictures of the Church of Jesus Christ of Latter-Day Saints, and, later, the reasons for her leaving the Mormon Church and what that meant to her; she says she is now comfortable with Unitarian Universalism. She describes her mother’s descent into mental illness that destroyed the family, and her own experience of an attempted sexual assault on a train outside New Delhi. I enjoyed this book. I found it interesting and refreshing; it is also well written. 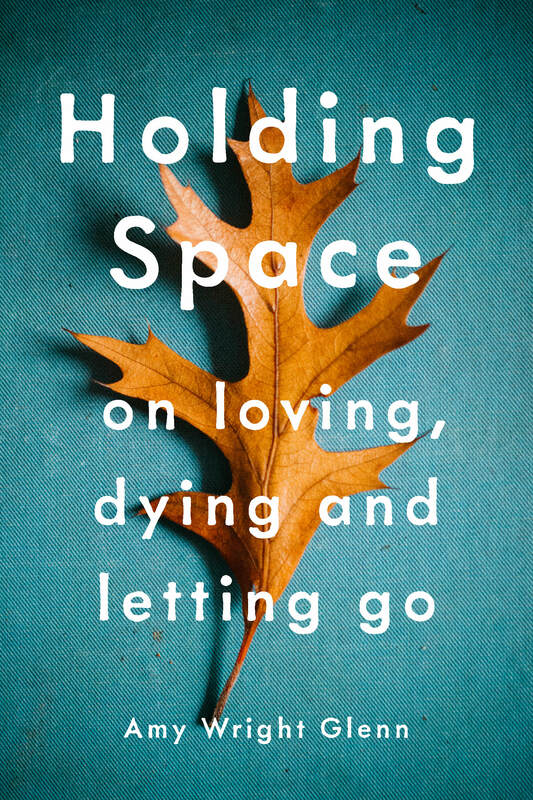 It’s about how to be there, or hold space, for any dying person or the bereaved. Critics will say there is no mention of pathological grieving. In contrast to DSM-5, my experience is that such a thing is rare and often predictable from the mourner’s past psychological problems. What Glenn is talking about covers 99% of the problems seen with grief and bereavement. I think anyone who works in palliative care will enjoy reading this book and find it both interesting and affirming. I enjoyed the quotations at the beginning of each chapter. There was one that I had not seen before, which I thought was particularly appropriate to her discussions of how to hold space: ‘Knowing your own darkness is the best way of dealing with the darknesses of other people,’ Carl Jung. NB: Review copies become property of IAHPC and are not returned to the author. Only palliative care related books, which are previously approved, and which have an ISBN, will be reviewed. Due to the large number of requests, we can’t provide exact dates of when books will be reviewed.